Q: I’m working on building up the straight-six 250 engine in my 1976 Chevy pickup. It came with dual exhaust and a Rochester 2SE carburetor. I’d like to eventually be able to pass while pulling a boat, or just have a hot street truck, with an automatic transmission and an engine that will last. Could you explain the difference between using a high-lift cam and using a low-lift one with high-dome pistons? What cam would you recommend for my truck? I’ve been thinking about roller bearings, roller lifters, and rollers for the valve and timing gears. What do you think? And finally, can you recommend a rear gear? A: The important thing to remember is that the higher the cylinder pressure, the more power you get. In a race engine, when you use a high-lift cam, the duration and valve overlap amounts are pretty high, which reduces cylinder pressure. High-compression domed pistons can help offset that loss. For your inline 250, we’d recommend a COMP Cams High Energy camshaft. This street cam will offer good power from 1,200 to 5,200 rpm, it has a nice choppy idle, and it can make use of a torque converter. It has the following specs: 218°/218° duration at 0.50″, and .499″/.499″ of lift. Your stock bearings and lifters are fine. Upgrading them won’t affect performance significantly. In fact, your timing gears are gear-to-gear, with no chain. You’ll want to use a 3.73 Richmond rear gear. If it’s a 10-bolt, we recommend the RMG-4900411, and if it’s a 12-bolt, you should use the RMG-4900721. Nice truck! I’m not sure what your budget looks like, but have you considered fuel injection? Strictly from a reliability standpoint. You’d have to make some modifications i.e. electric fuel pump either in tank or in line. As well as run a return fuel line. It may not add tons of horsepower, but will make much better use of what you have. 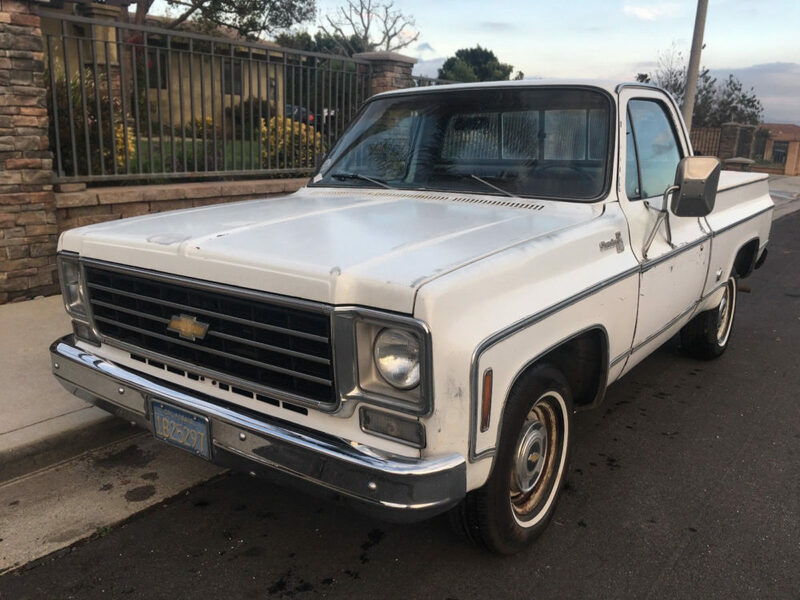 I had a 1981 Chevy C10 pickup with a 250 inline 6 in it. When I got it rebuilt, used that Competition Cams cam Summit recommended. Great choice! Also ran an early 70s head with Clifford intake manifold, small Holley 4 barrel carburetor, and headers. Ran great! No problem passing anything but a gas station. lol! 16 gallon tank didn’t go very far. Lots of fun though. Heh, my 2 cents worth, lower the compression ratio and fit a turbo or blower, Vortec or similar. All the power you’ll need, when you need it and I believe, the best bang for buck. Use electronic ignition. HEI should fit with no problem, or use Pertronix conversion kit. Won’t make a lot more power, but will run more smoothly and consistently. Definitely needed if you raise the compression ratio.